Well, this morning we said goodbye to our last group of guests for the 2016 season. It’s been a whirlwind for sure! Our busiest season ever and it was fantastic! Sure we had to work a little harder for the fish at times this summer but our guests and guides made the most of it. At the end of the day there were lots of fish to go around. On Sunday, our final fishing day was one for the books; greasy flat water with just a hint of breeze, bright overcast skies and fish catching opportunities all over the place. The bulk of the action recently has been offshore and we’ve enjoyed exploring the tidelines and contours in the 200 to 500-foot zone. 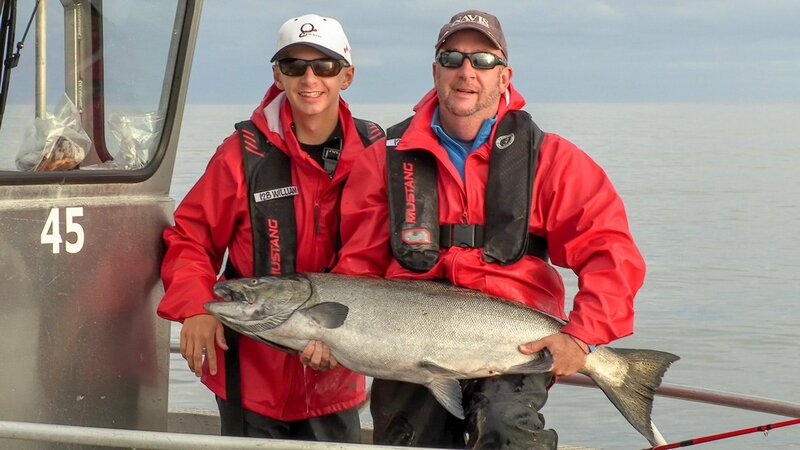 We’re finding loads of beautiful 10 – 15 pound Coho and the occasional Chinook out there, from the surface down 60 feet or so. And while we’re out there, we get lots of little surprises like random feeding humpbacks popping up alongside the boat or pods of Dall’s Porpoise zipping around below. We’re always discovering great underwater structure that harbours awesome lingcod, halibut and cod fishing opportunities. 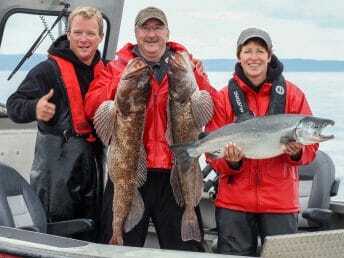 We set a new record for the number halibut over 100 pounds this season and with a little help from some enthusiastic jig anglers we’ve established a very healthy lingcod fishery. 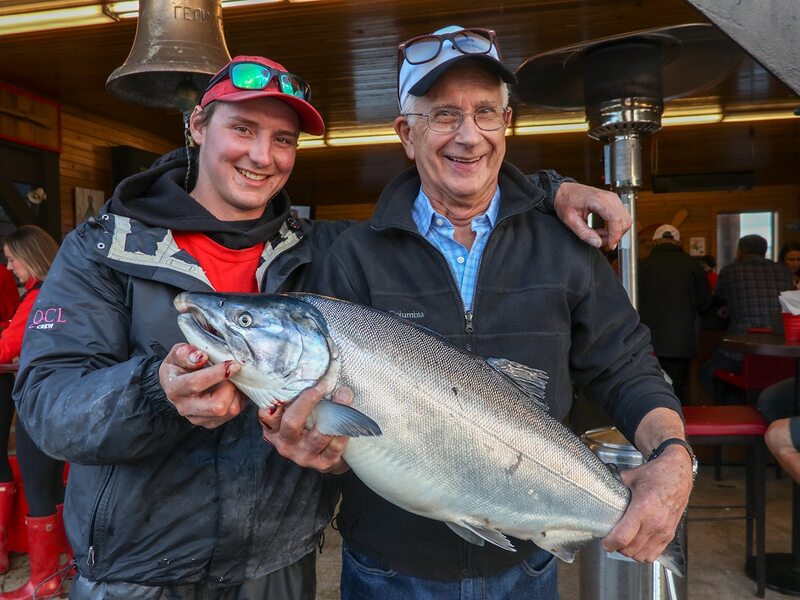 Even in this past week we saw halibut released scoring 102, 102, 115, 134, and 160 pounds with several nice ones in the 30 to 60 pound “keeper” class. 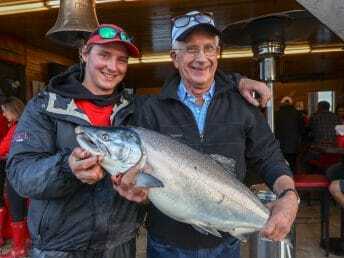 Inshore fishing for Chinook salmon turned on nicely this weekend with some snap bites coming on with the morning tide changes at Cape Naden and Parker Point. There weren’t a ton of them but certainly enough to get everybody interested, even a couple of nice Tyees in the mix! Now we crunch the numbers and we’ll be back with a bit of a summary very soon! Stay tuned.